Dice Set – Pink | Dice – Geek Girl Stuff – Geekery, art, jewelry, and more! One set of gaming dice! 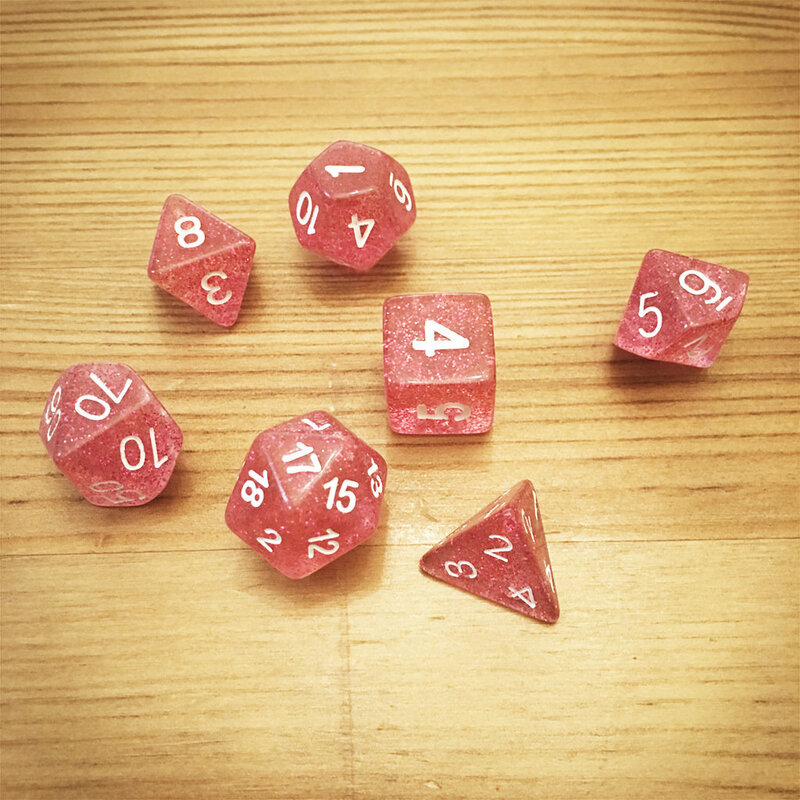 These dice are clear with pinkish/red glitter and white numbers.